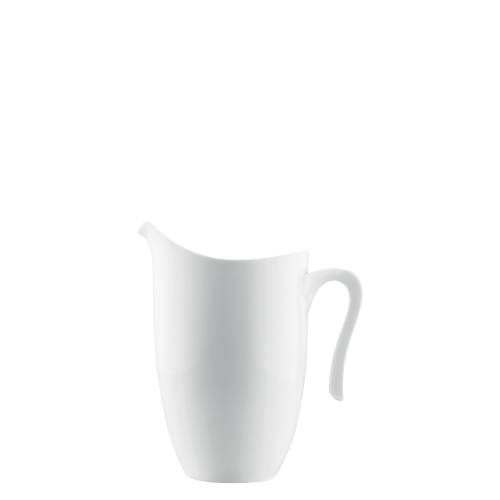 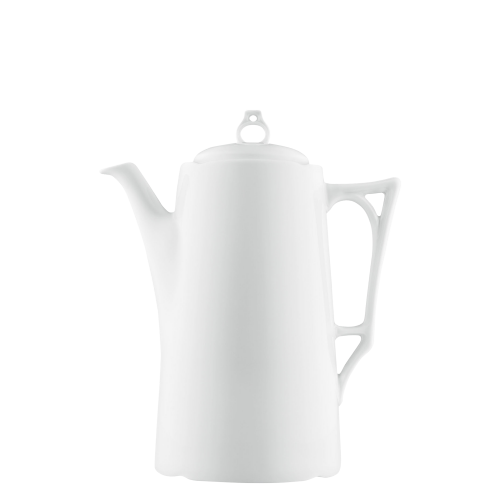 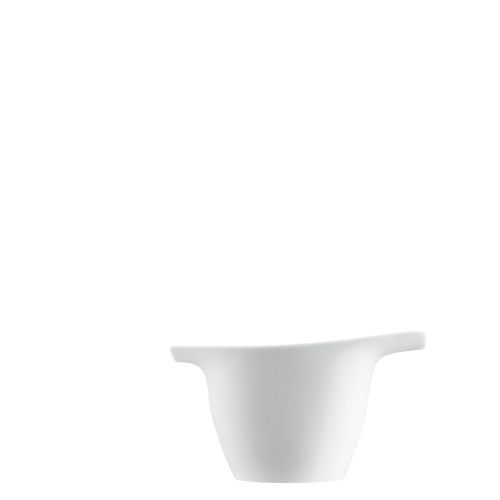 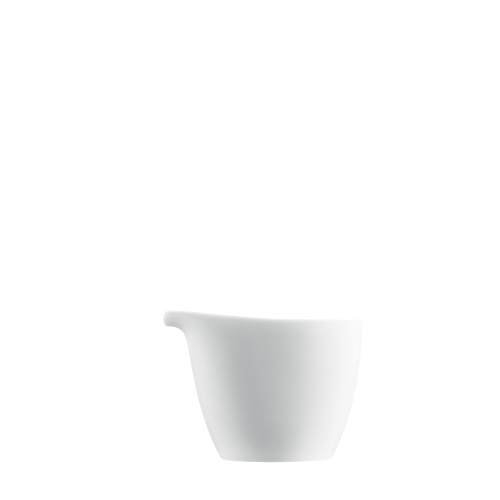 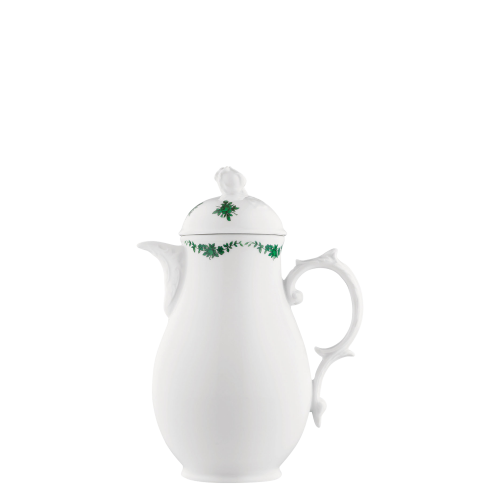 Green tea, black tea, fruit tea or perhaps a nice cup of coffee – whatever you decide, you can be sure of serving your hot drinks stylishly in a FÜRSTENBERG coffee or teapot pitcher. 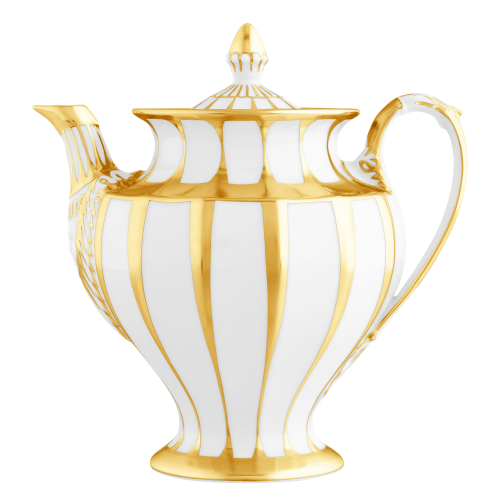 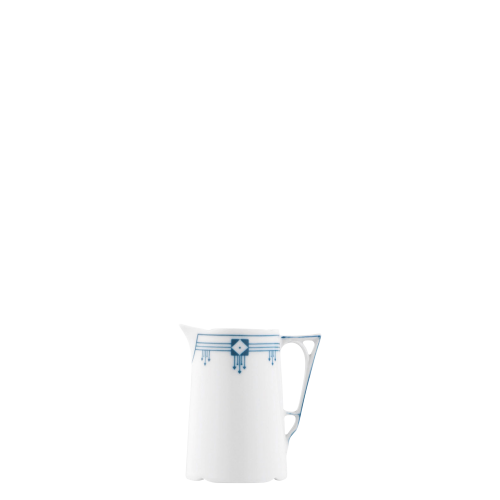 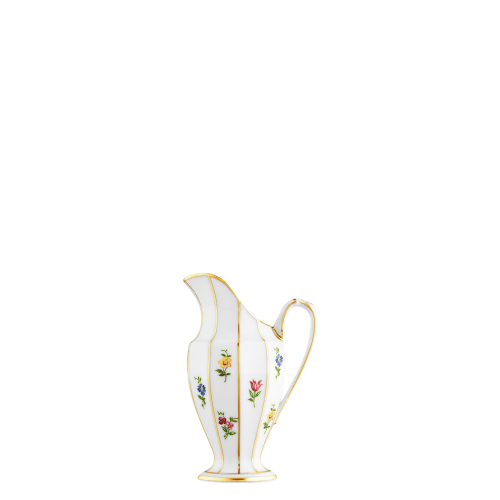 You will find highly traditional designs in the porcelain manufacturer’s range as well as modern versions, shapes with a European design history, others with Asian influences, classic white pitchers and elegant designs with gold and platinum, or perhaps with a playful touch and floral decorations. 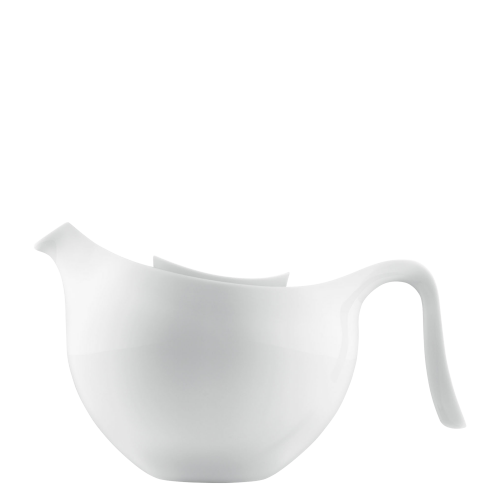 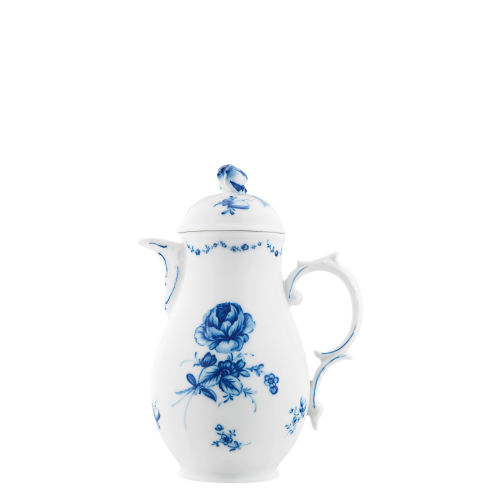 Many of FÜRSTENBERG’s teapot pitchers come in two different sizes, either for a table with several guests or for one person to enjoy on their own. 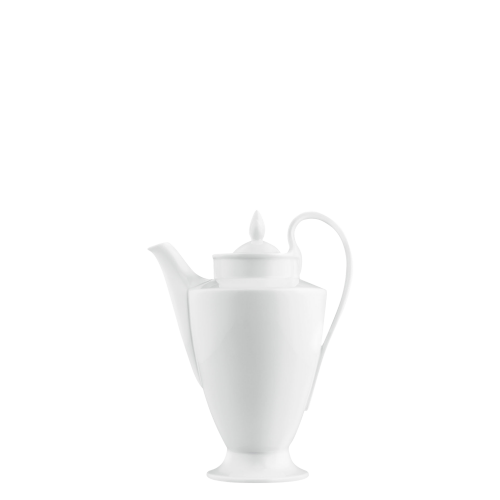 Small but functional details ensure the enjoyment is perfect: the matching tea strainers in porcelain or metal, warmers to keep the contents hot for longer, and the matching milk jugs, creamers and sugar bowls. 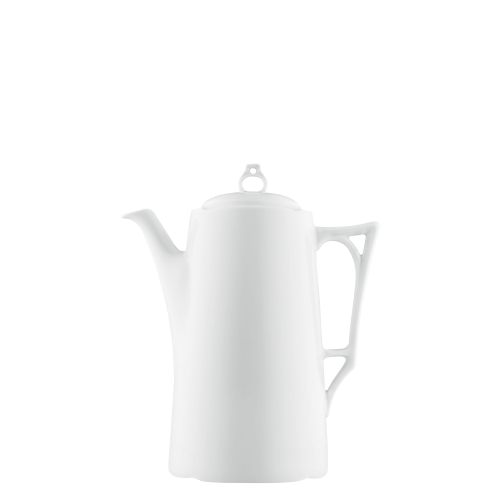 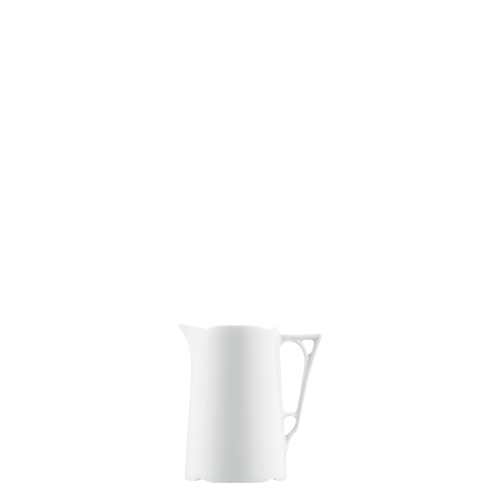 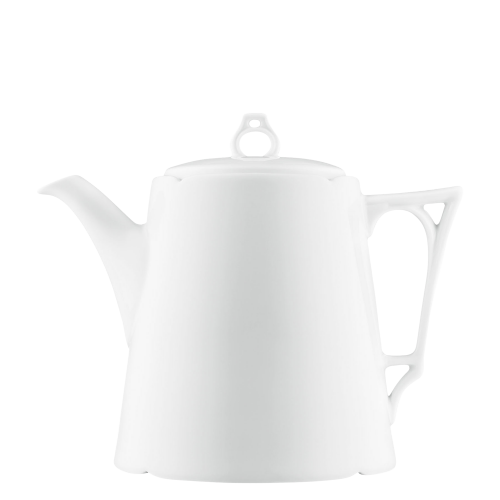 In addition to the numerous designs from the company’s own studio in Fürstenberg, tea and coffee pots by famous international designers are also available, including classics such as WAGENFELD, the Asian-inspired shape AURÉOLE by Kap-Sun Hwang, one of the most renowned master ceramicists of today, and Fluen by the Swiss designer Alfredo Häberli. 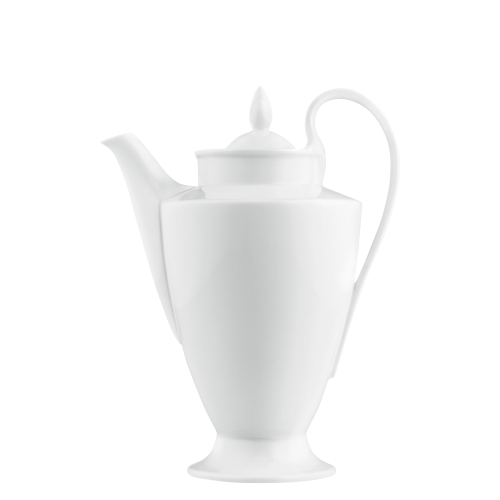 Whether you are preparing a large table for family and friends or curling up in your favourite spot with a heavenly tea or coffee on your own, these porcelain tea and coffee pots are always optical highlights. 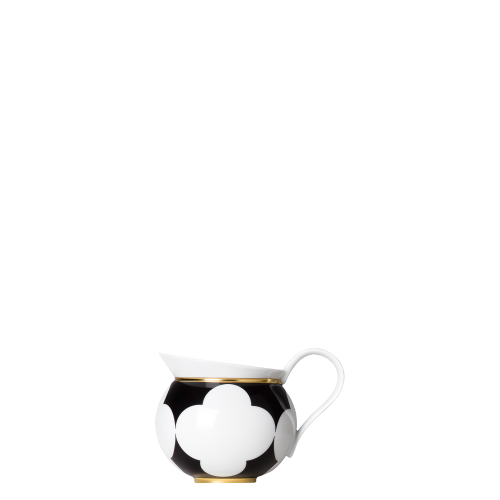 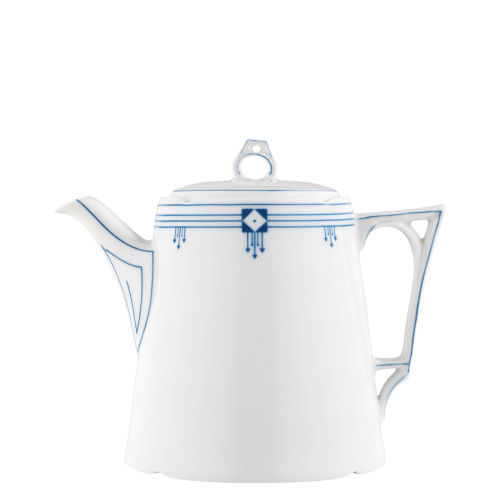 The tea and coffee pots can all be combined with the matching tableware series or used as exclusive sets with cups in the same patterns. 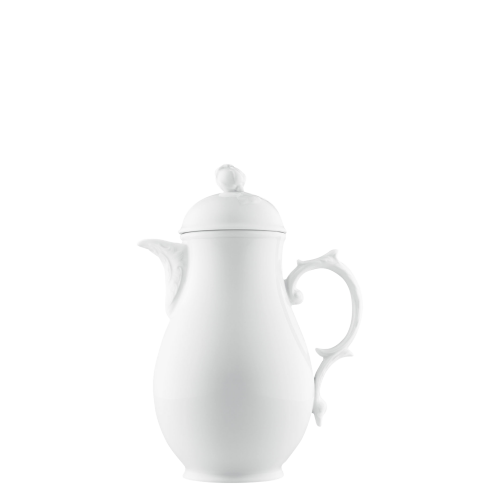 Since all FÜRSTENBERG products have the same degree of whiteness, you can also create your own entirely individual style. 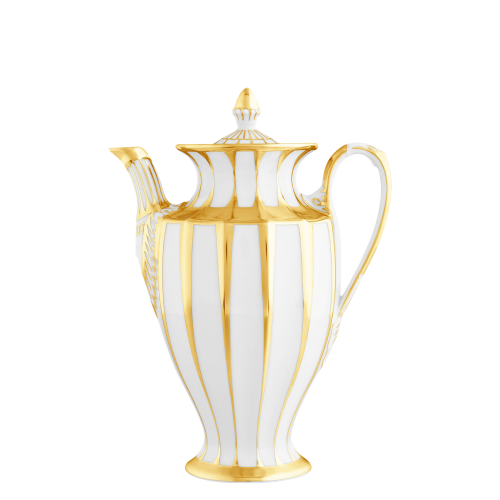 Golden and coloured designs add delightful accents to elegant white tableware. 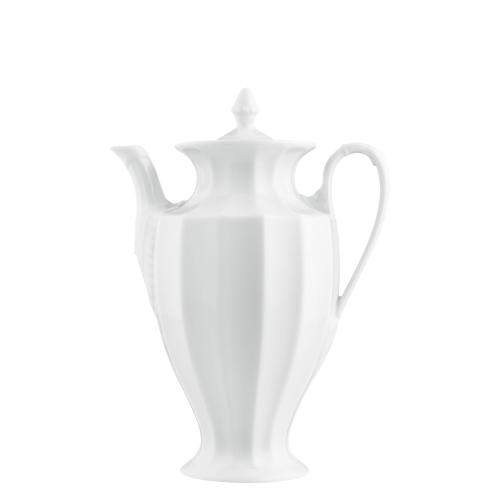 Historical designs combined with modern shapes create specific breaks in style, and with them a story that is told by your table. 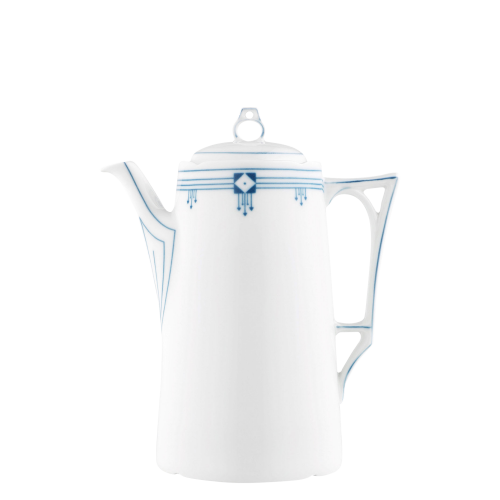 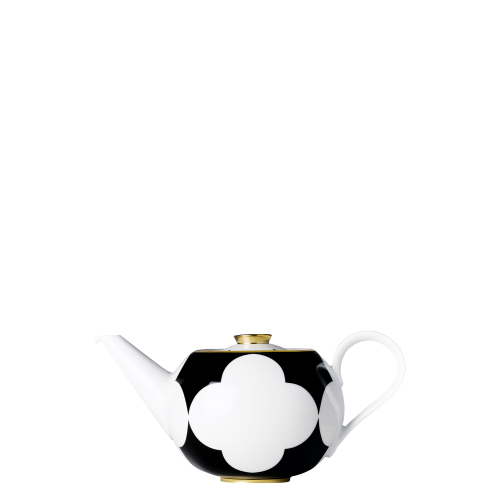 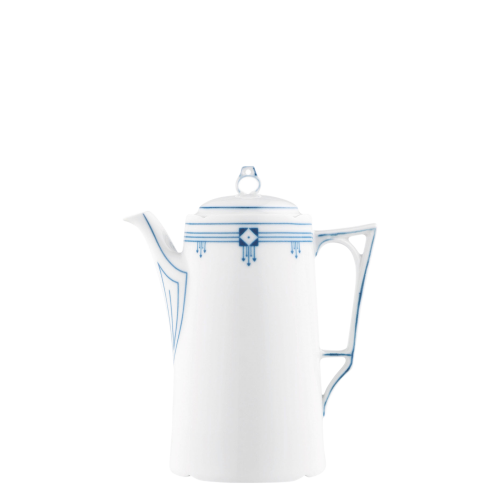 Porcelain tea and coffee pots by FÜRSTENBERG are not only lovely, but are functionally sophisticated. 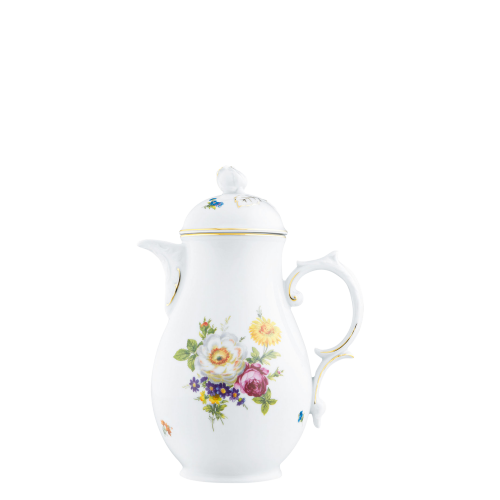 The porcelain makers in the Weser Uplands in Lower Saxony pay the closest attention, with much love and the highest standards for perfection, to the fine details that make all the difference. 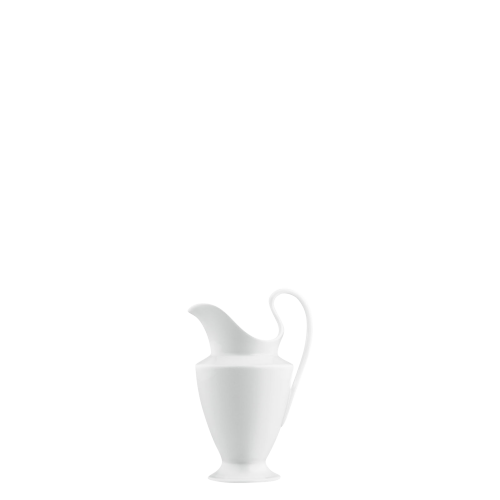 The spouts are shaped so that they never drip. 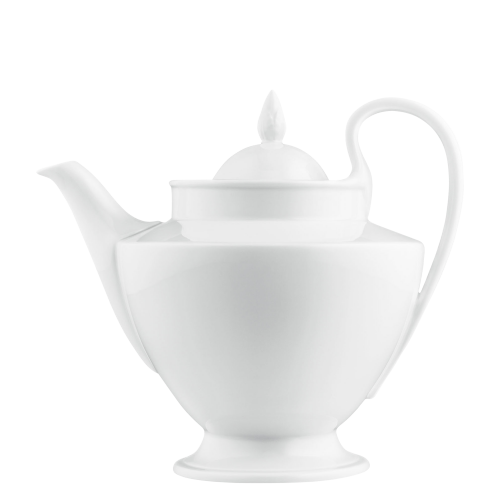 On the teapots, they are positioned as low down as possible to ensure that the tea stays hot for a long time – ideally on the warmer. 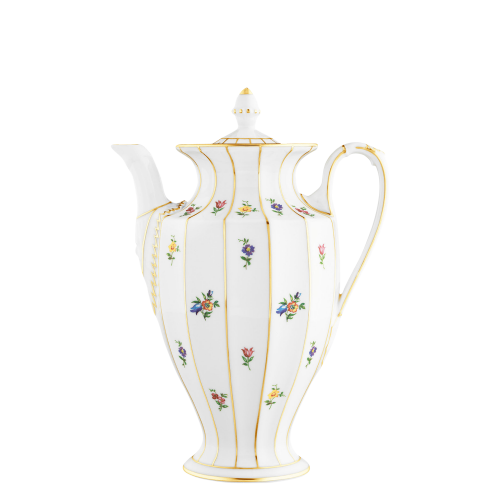 Perfection down to the last detail is only possible because, even today, the majority of porcelain manufacture is still based on handwork. 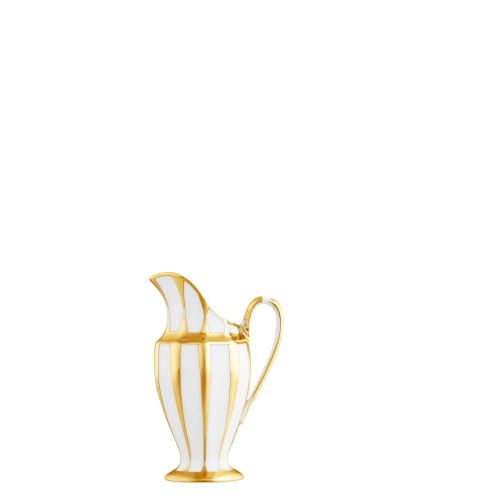 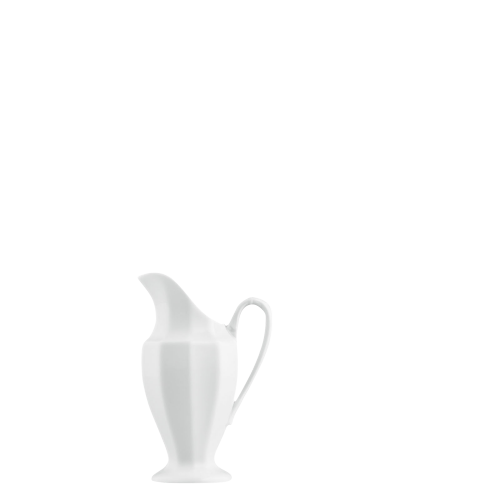 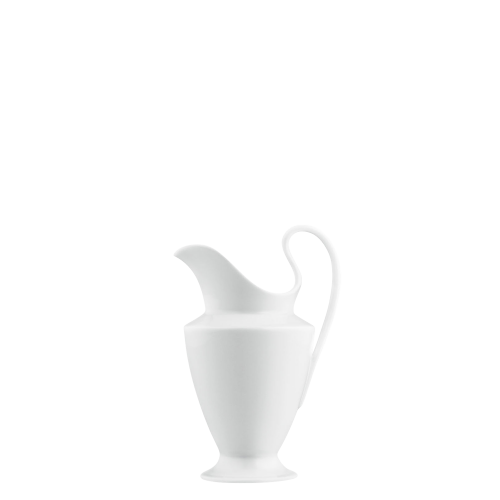 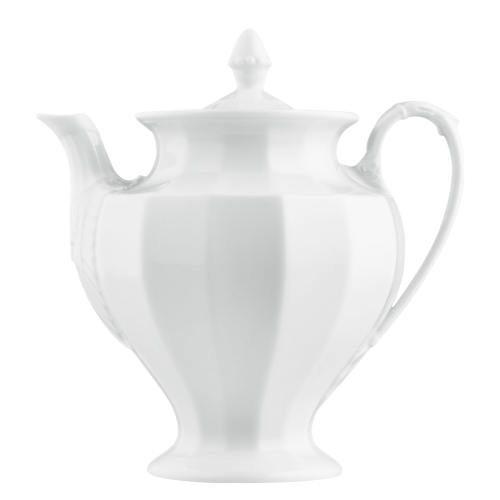 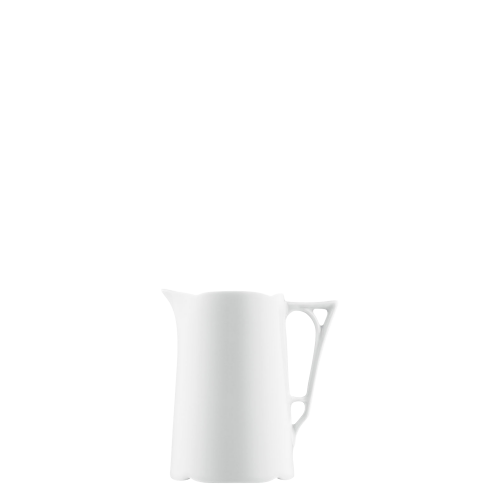 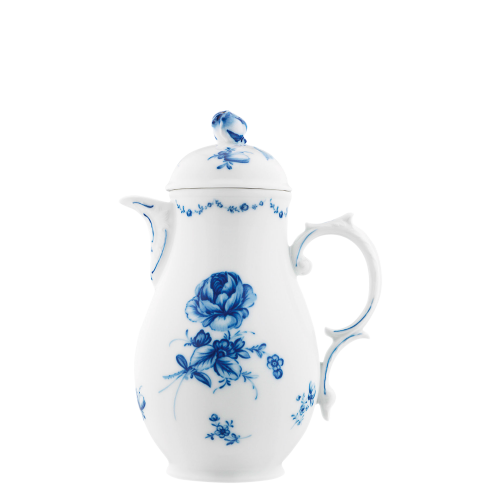 Porcelain tea and coffee pots are always made of several items, each of which is manufactured separately and then joined together with a steady hand. 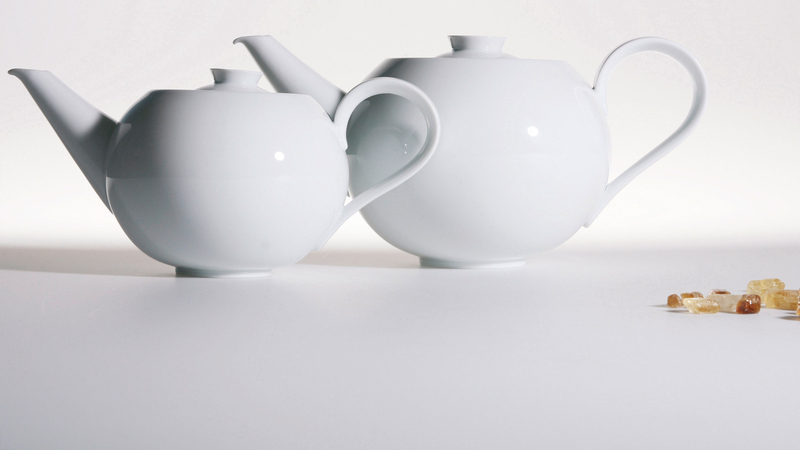 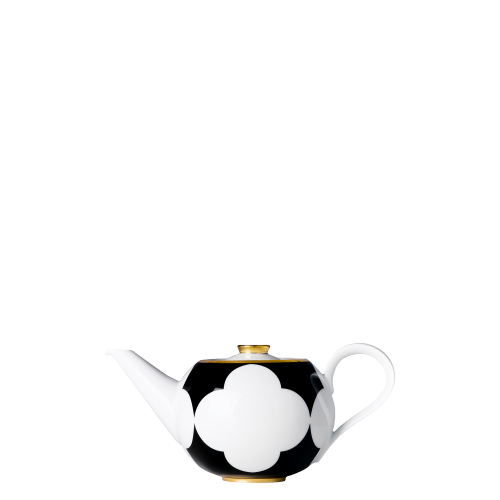 Some teapots even consist of 8 or even 12 individual pieces. 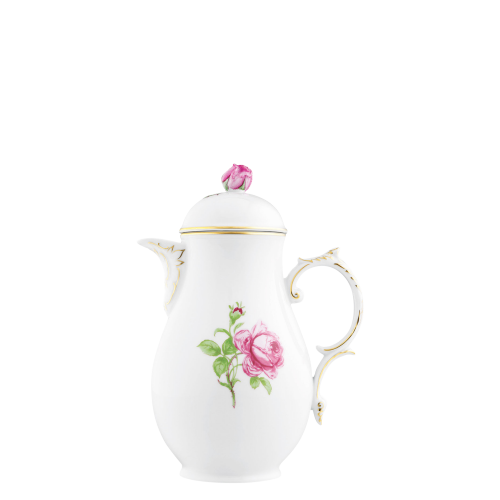 Patterns are also applied by hand, and gold and platinum decorations hand-painted with a fine brush. 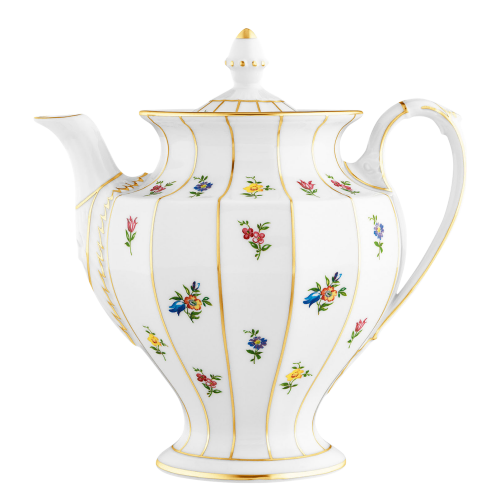 This passion in productions ensures that every single tea and coffee pot is a little masterpiece of the art of porcelain.